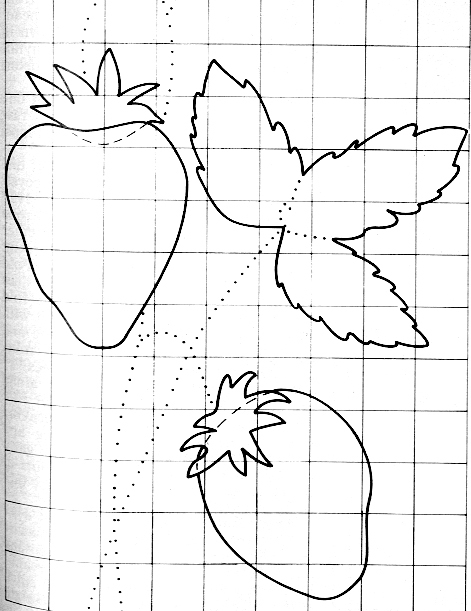 Strawberries…….shortcake, jam, ice cream……… This strawberry pattern was published in the McCall’s Needlework Magazine, Summer, 1977. Wouldn’t these strawberries make a great summer table runner? 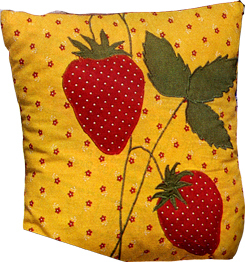 Or maybe an embroidered border on a cafe curtain in the kitchen or on a cover for your home made strawberry jam. 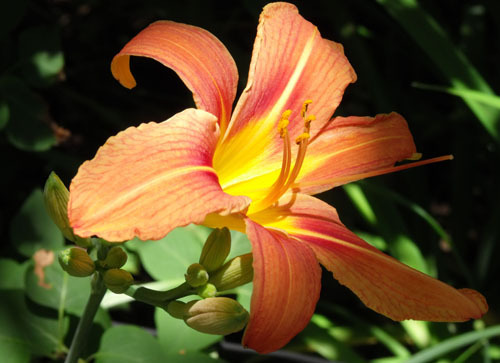 Day Lilies are my favourite wild flower. 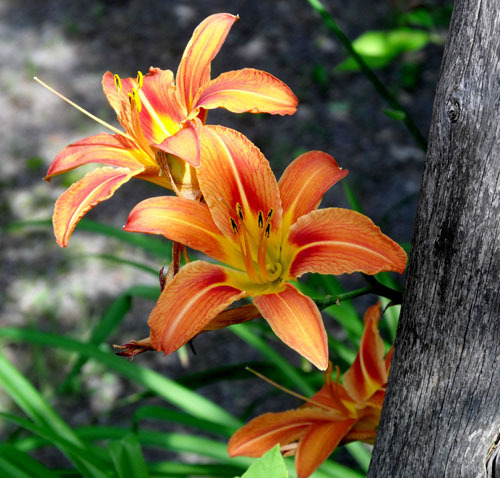 They grow everywhere, lending their bright orange colour to even the dullest days. I don’t have to water or feed or weed them. These two photos are from the plants growing beside the driveway. They make my heart sing every time I look out the window during the month of July. I couldn’t leave this astounding image alone. 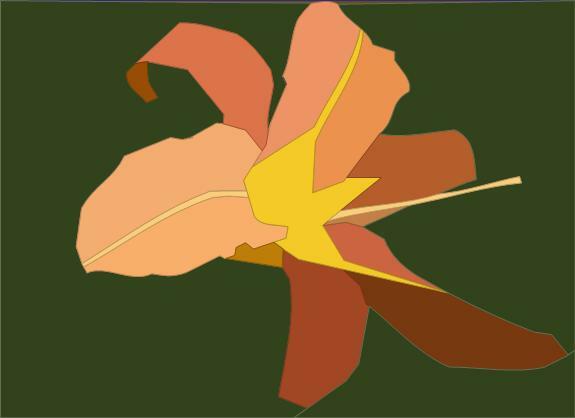 Here is a pattern for the day lily. 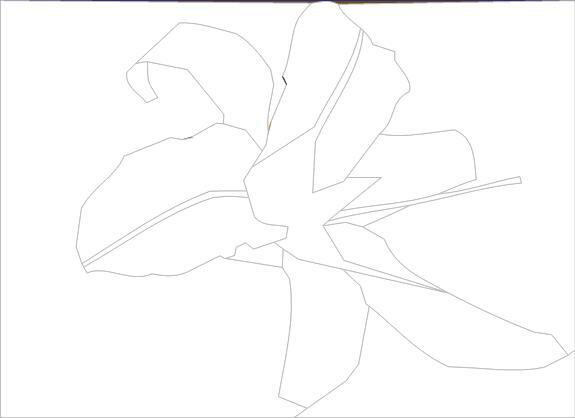 This flower would look great on a postcard. I created it in the Quilt Assistant software which can be found by clicking the link: www.cosman.nl/software_en in my “sites I love” column on the right side. I use Quilt Assistant software often, setting up a library of images that I can use when I feel the creative urge. It works well, is easy to use and best of all it is free. Summer is finally here to stay. It is hot, hot, hot. 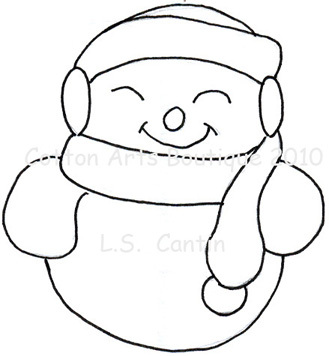 July is another snowman month. This time Freddy is wrapped up in a stocking cap. 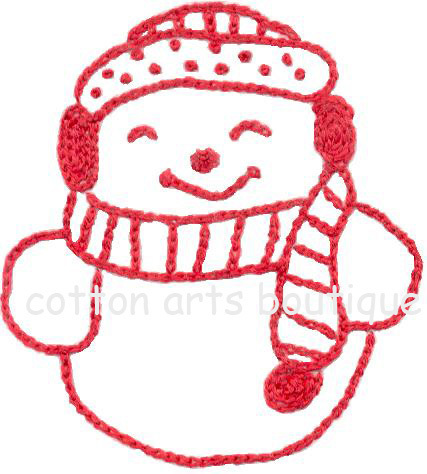 He is outlined in chain stitch and French knots give him his polka dots. 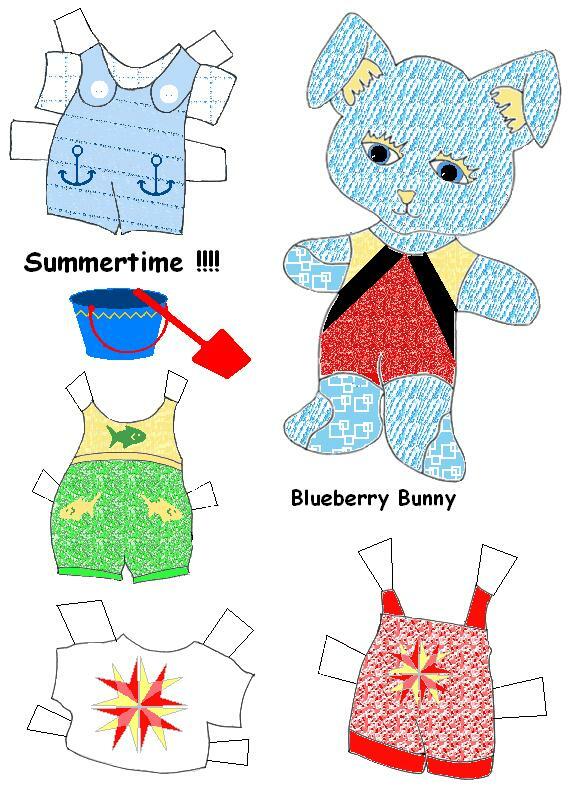 Enjoy and feel free to use this pattern as well as the first Freddy pattern from March. A mention would be great and expected as a goodwill gesture. Buttercup and Blueberry Bunnies are very happy. School is over and they can go out everyday and play in the sun for a whole two months. 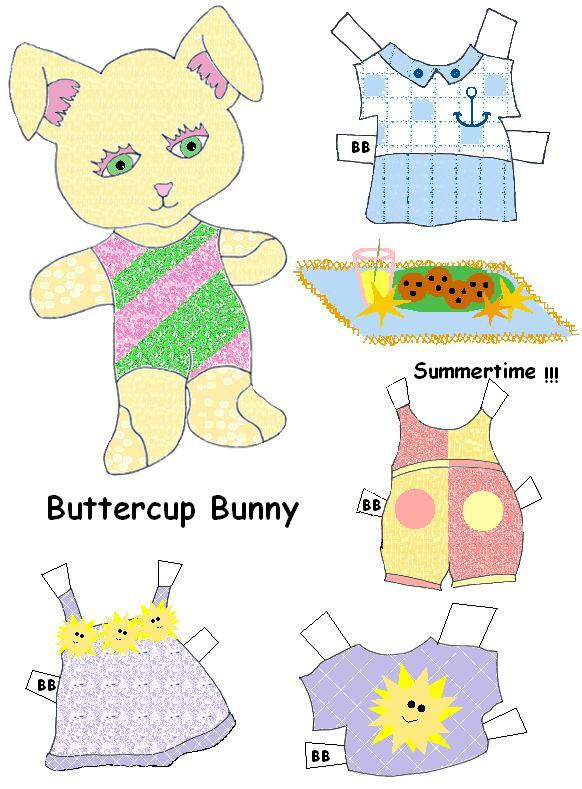 Buttercup has brought lemonade and cookies for a picnic on the beach while Blueberry thought his pail and shovel would come in handy to make castles in the sand. I wonder if they will both remember their bathing suits?